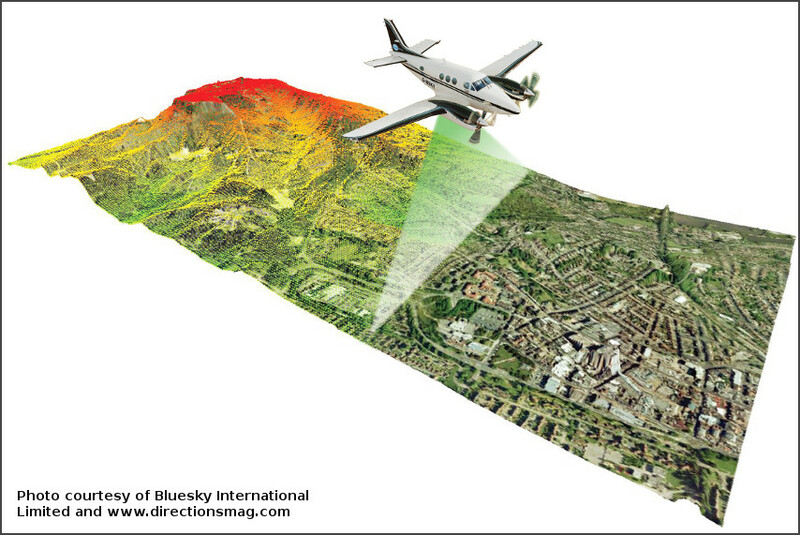 Wide-area 3D mapping is accomplished as the airborne lidar scans the ground while flying along. Accurate sensors onboard the aircraft measure its position and orientation; when combined with the laser rangefinder measurements an accurate, geolocated 3D image of the ground is obtained. 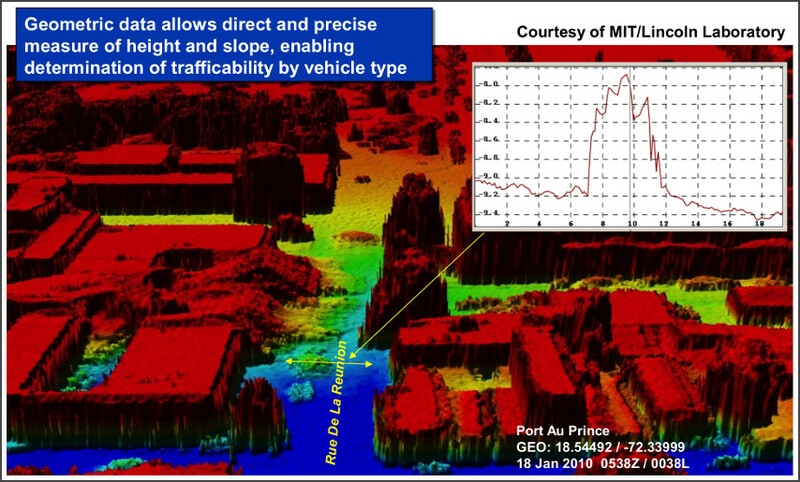 The ALIRT airborne lidar sensor was summoned to Haiti immediately after the disastrous earthquake in 2010. It rapidly mapped cities and towns, providing to the humanitarian assistance teams valuable information about where trucks could drive, where helicopters could land, what buildings were destroyed, where refugee camps were growing or shrinking, where the spring rains would flood vulnerable camps. The false-color image below shows the crumbling tax office and deep rubble blocking the street. The transect across the rubble, shown in the inset, indicates the depth of the debris.